Very warm welcome to the first instalment of Doms Top Prestige Picks. You’re probably thinking, who on earth is Dom? Well, I am the person behind Hippo’s social media presence and have been with the company since August 2018. Every month I will be choosing my pick of the latest in-stock vehicles to share with you all, so sit back & enjoy! The Range Rover SVR is one serious machine, described by Land Rovers Managing Director, Michael Van Der Sande, as ‘The world’s most capable performance SUV’. Under the bonnet is a V8 supercharged 5.0-litre petrol engine that lets out an astonishing 567bhp, making the statement above hard to disagree with! It really is one of those vehicles that you race down to the showroom to see when you hear there is one fresh-in-stock, and this was no exception with the 2018 Velocity Metallic Blue example that has recently arrived at Hippo. 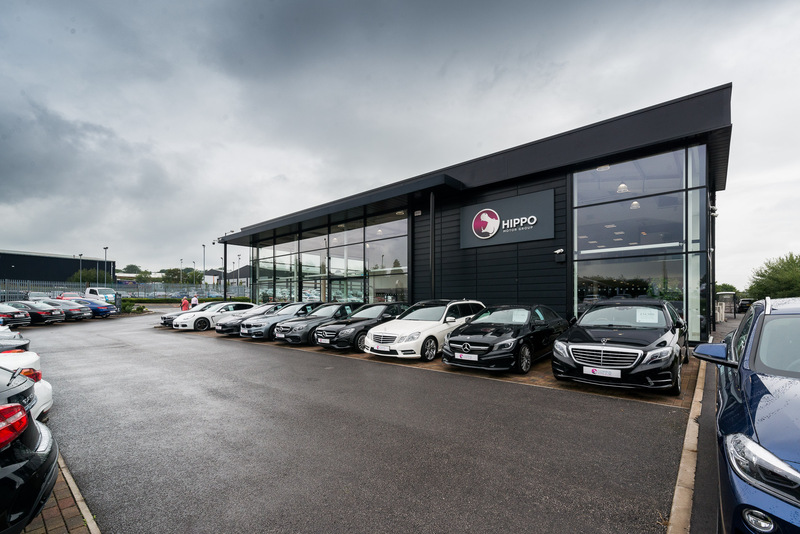 With a specification that includes 360° Parking Aid, Heated Seats, Panoramic Roof & Rear view camera, plus the supercharged engine that makes this an all-round impeccable driving experience. 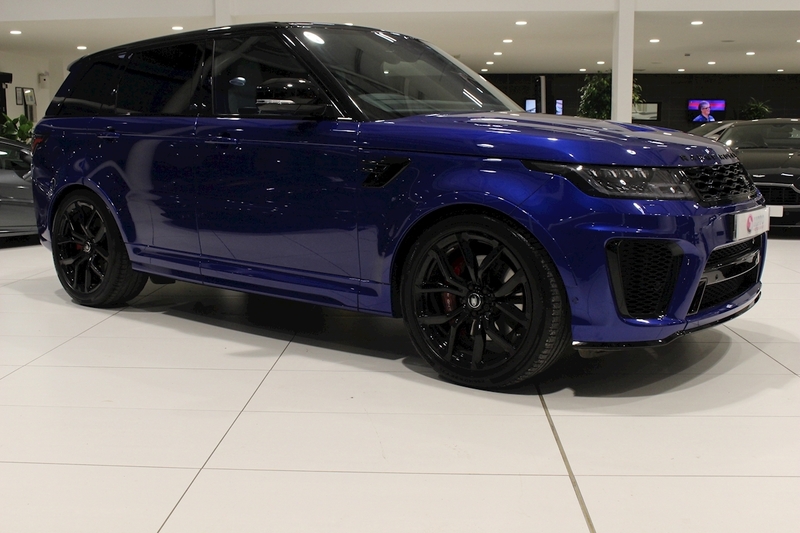 If you are in the market for a luxury performance SUV, then it’s certainly hard to look past the Range Rover Sport SVR. Pure Power, Pure Style & Pure Comfort – Everything Mercedes-AMG stand by has been executed perfectly with this 2017 E-63. It has always been acknowledged as one of the best all-round high-performance luxury business machines available and stands grille to grille with the Audi RS6 & BMW M5. 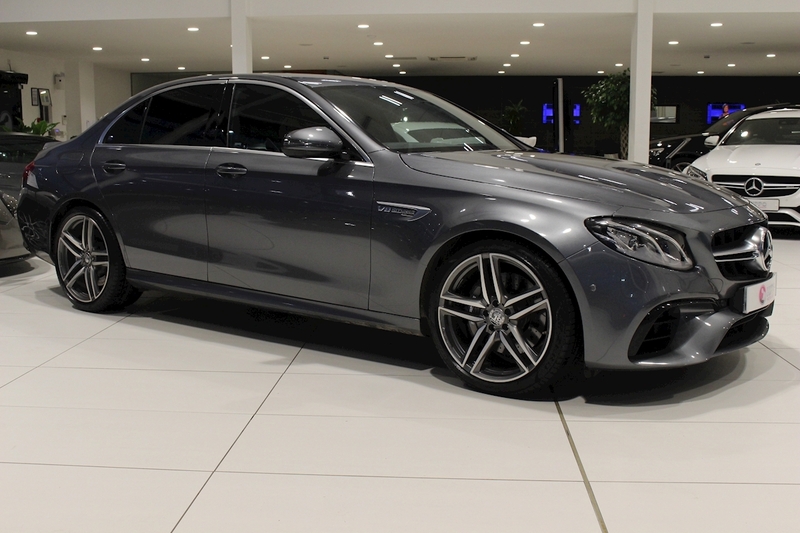 the E63 hosts a monstrous 4.0-litre V8 petrol engine, which produces above and beyond 550bhp! With the it’s ultimate interior & powerful engine, the category ‘Super Saloon’ couldn’t be any more fitting. With a bespoke V8, jaw-dropping gullwing doors and impeccable road manners the 2010 Mercedes-Benz SLS AMG is a guaranteed future classic. Producing 563bhp and 479lb/ft of torque from its 6.2-litre naturally-aspirated V8 engine, meaning the SLS certainly has no mobility issues! 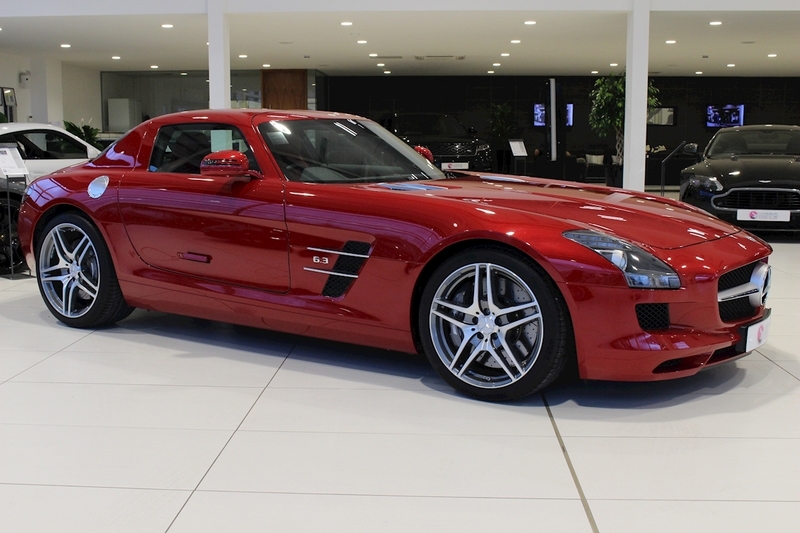 Our SLS is finished in Le Mans Red, with an equally eye-catching two-tone (red & black) leather interior. Surprisingly modern technology is also included – with a reversing camera, plus electrically adjustable & memory seats. This sublime example also has just 638 miles to its name! Another car, and another body type for you to sink your teeth into. A true Jaguar sports car with ‘exhilarating performance, confident handling and everyday usability’… as told by Jaguar themselves. 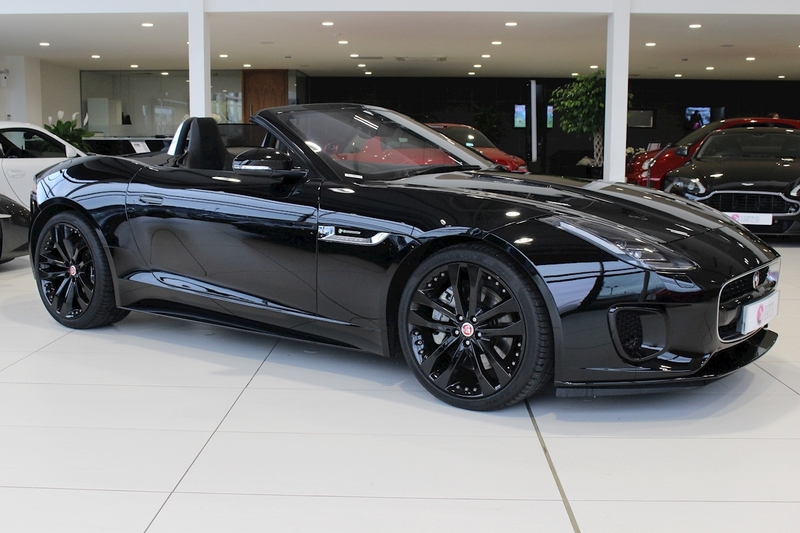 It’s the F-Type, finished in the Jet Black and kitted out with a supercharged V6 3.0-litre engine! The badge, the looks and the engine noise are guaranteed to make heads turn. Our in-stock Jaguar has the top level r-dynamic trim level which includes 19” alloy wheels & switchable active exhaust, to name just a few of the upgrades! Practicality certainly wasn’t at the top of Jaguar’s mind when they designed this car, but who cares? It’s loud, raw & brings joy back into driving. 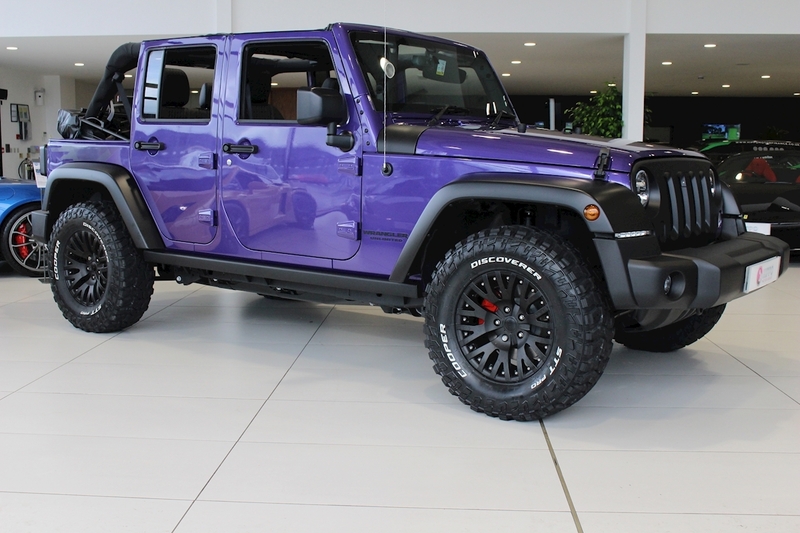 To complete the blog, we are switching it up with a no-nonsense Jeep Wrangler, our eye-catching Extreme Purple Wrangler is one of three that’s in stock at Hippo. Kahn Design has also had their hands on this much-desired Jeep, with custom 1986 satin black alloys, leather interior package and much, much more added! It isn’t as raw and simple as you’d imagine either, Rough n Tumble without any bother, but it also has the specification of a luxury car. Heated front seats, bi-xenon headlights, leather interior & touch-screen display all included. So that’s this month’s picks done! We have showcased an SUV, Convertible, Saloon, Coupe & 4×4 – So whatever your needs are, they will have been covered above (hopefully!). We have these 5 prestige cars available, in-stock today, along with 300 other cars! In the market for a new car? Click Here!